The foolproof weight loss action plan guaranteed to help you burn stubborn body fat in 6 weeks! Want to try 6 Week Fit for yourself? For only 50 cents per day? Money-Back Gauranteed! 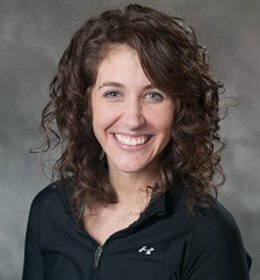 “[This program isn’t for] those who are basically healthy and somewhat active but overweight and want something that fits into their schedule better. How are you feeling right now? Tired? Sluggish? No motivation to hit up the gym or put up with the crowds? Okay, okay, enough of the doom and the gloom! You got this! With the right action plan, you can lose weight successfully, no matter your body condition or where you workout. Forget the gym! What is true health happiness? It’s the extra energy to play with your kids after a long, hard day of work. It’s the confidence to wear that swimsuit this summer. It’s taking the stairs without being winded. It’s how you want to live! You can have that! Why shouldn’t you? 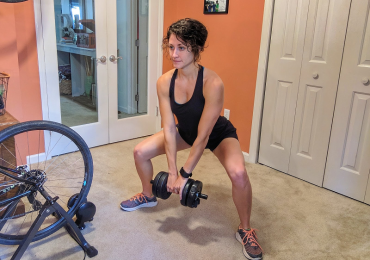 6 Week Fit is your home fitness action plan that makes it easy to start and stick with an effective weight loss plan… at home! It’s your action plan to true health happiness. 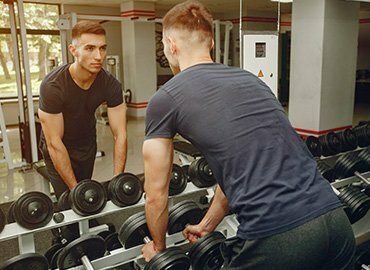 It’s your weekly step-by-step fitness and nutrition plan to help you lose weight, create lasting healthy habits, and get your confidence back! If you aren’t 100% convinced email us and we will answer your questions or point you to programs that will help even if it’s not with DIY Active. Seriously, it’s our mission to help people reach their goals. Send your questions to Support@DIYactive.com. If you’re ready to put in the effort, it can help you reach your goals. 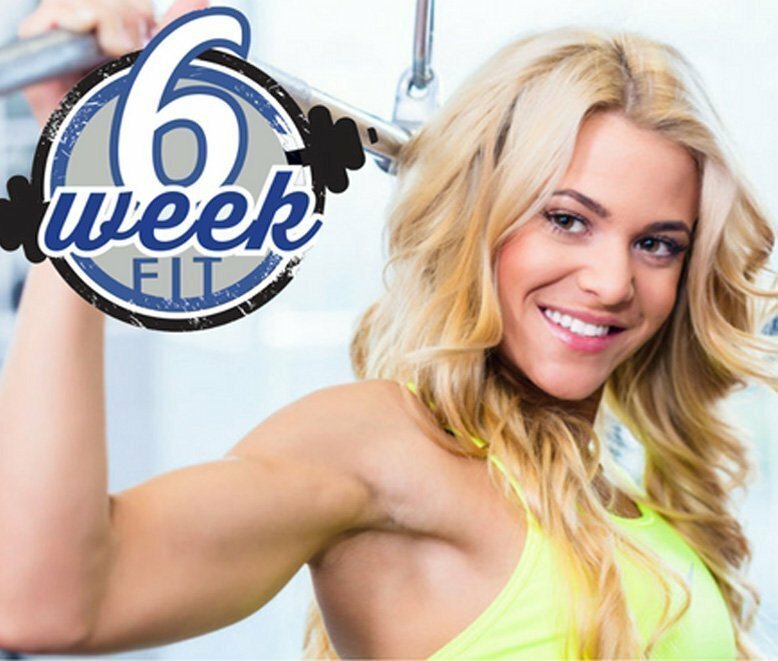 6 Week Fit is about helping you build your confidence and create habits for success! 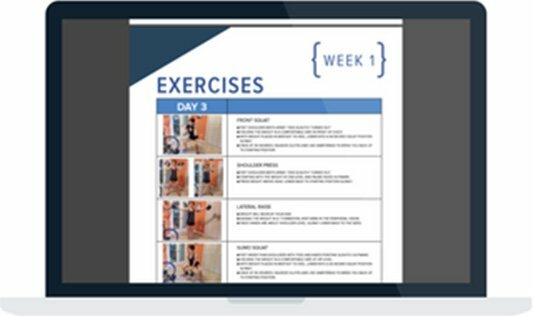 THE COMPLETE 6 WEEK FIT ACTION PLAN TAKES OUT THE GUESSWORK AND YOU CAN TRY IT RISK FREE OR YOUR MONEY BACK! 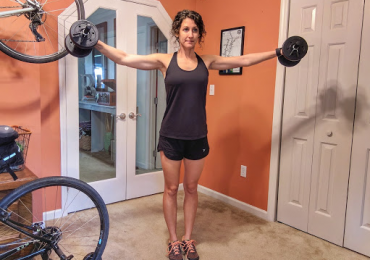 Raising The Weight in A T Formation, Keep Arms in The Peripheral Vision. Once Hands Are About Shoulder level, Slowly Lower Back To The Sides. Feet Wider than Shoulders With toes and Knees Pointing Slightly Outward..
Holding the weight in A Comfortable Grip, AT Hip Level. With Weight Placed in Midfoot To Heel, Lower Into A 90 Degree Squat Position Slowly. The Chair Or Step Will Be Located The Side Of You. Keeping Both Toes Pointed In The Direction Shoulders Are Facing, Place Majority of Weight In The Midfoot Thet Is on The Chair Or Step. Extend Knee To Bring Body Upright On Chair Or Step. To Work on Balance, Drive Knee of Opposite Leg 90 Degrees. Ready to take back your health, get back your energy and reach your potential? Or just stick with your norm?